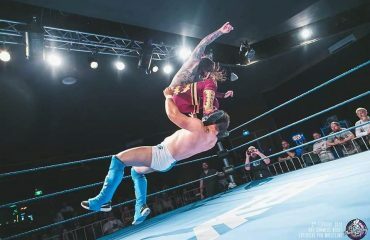 Hosted by Lord Andy Coyne, Lindsay Howarth and Sebastian Walker, MCW November Rain kicked off in front of its largest crowd of around 700 rabid fans in the Thornbury Theatre. 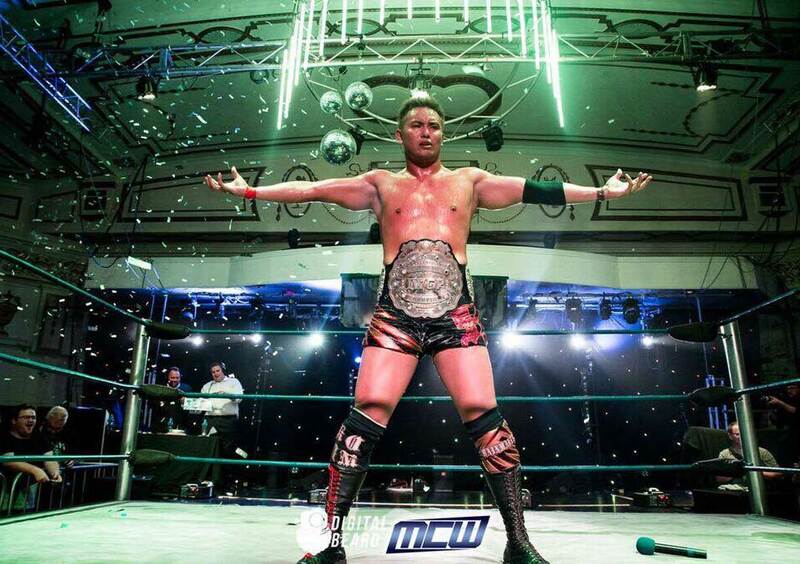 The venue is renowned for having some of the greatest moments in MCW history, and tonight would be no exception. Despite a strong showing, Alan Payne was not able to overcome the raw experience of Jonah Rock who managed to pin Payne after a brainbuster. Preston came out to talk about his loss to Alan Payne from MCW Seven. After talking about a “mistake” that he made, he assaulted Emmanuelle with a soaked chloroform rag, seemingly blaming him for his massive loss. In a match which would see both Panic and Brat Pack banned from ringside, Reid got the pinfall victory over her Brat Pack counterpart. It was a classic match of the raw power of Ugg vs the aerial artistry of Eagles. It looked as if Eagles would gain the victory, but when his future Final Battle opponent Brooks came out to distract him, it allowed Ugg to get the massive victory in front of a passionate crowd who chanted “UGG!” over and over again. In this match, if Waterman of the Brat Pack won, Syd Parker would have to disband his tag team Panic. Conversely if Parker won, his team Panic would receive a tag team championship opportunity. As the match started Waterman insisted on wearing legally sanctioned headgear which the official allowed. However it was a clever ruse, as the head gear allowed Waterman to make an in ring switch with his tag team partner Nick Bury who was also wearing similar headgear. As Nick Bury made the switch, he blasted Parker with a low blow followed by an inside cradle to get the 3 count. Panic are no more. 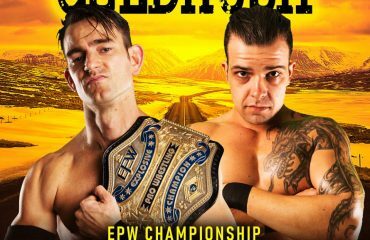 In a classic continuation of their career long fued, Dowie James and Adam Brooks would have another classic within the Thornbury Theatre. Brooks attempted to cheat James out of the victory, but Brook’s future opponent Robbie Eagles would push his feet off the ropes and straight into a Rings of Dowie, allowing Dowie James to acquire a submission victory. 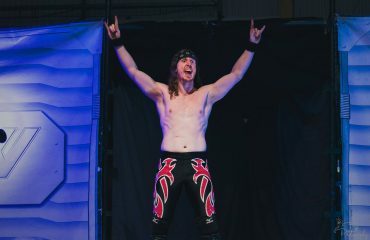 Post match, Dowie James demanded a MCW Championship match, stating that as this year’s Melbourne City Invitational tournament winner, he was due one. Jonah Rock would come out to address the challenge, and decided he would allow it, but only if it was contested at next month’s Final Battle within a steel cage. Helter Skelter (Big Ali and Jake Andrewartha with Julian James) vs. Mr. Juicy and Bad Luck Fale. In a tag battle of true heavyweights we saw all four men give it their all. However the match would spill into complete disarray (even JXT came out to help out Juicy and Fale) and the match was awarded to Juicy and Bad Luck Fale via DQ. Post match, in quite possibly one of the greatest moments in the career of Mr. Juicy, Bad Luck Fale officially inducted Mr. Juicy into the Bullet Club faction. A disgruntled “Loverboy” Lochy Hendricks would come out, seemingly upset that he was not a part of MCW’s biggest night, and proceeded to do a “sit in” until he got his moment. Hendrick’s former tag team partner Krackerjak would come out instead and demand that Hendricks would drop the pretense of the person he was trying to be, and to “come home”. Hendricks would have none of it and insisted on a match in which if he lost he would “come home”. But in return he wanted Krackerjak to put his career on the line. Krackerjak seemingly tried to dissuade Hendricks from the narrative, and insisting that if the match were to happen it would have to be one of the bloodiest and vicious matches ever in MCW history, listing how he wanted to fill each corner with thumbtacks, nail beds and barbwire. In arguably the largest match in MCW history, former MCW Champion took on Kazuchika Okada, the longest running IWGP Champion of all time. Okada certainly didn’t bring a watered down performance, giving the fans the full Rainmaking experience in the Thornbury Theatre, from his elaborate entrance, all the way to making it rain Okada dollars after his victory over SLEX. However not only did Okada bring his best, so did SLEX, who took a massive step up in this match. Looking in the best shape of his career, SLEX was laser focussed and came close to winning a match that would of sent shockwaves across the wrestling world. Ultimately it was the rainmaker lariat that would allow Okada to take the victory. Post match, Okada would shake hands with SLEX, showing tremendous respect to his opponent after this classic main event.